Nicole Richie and husband Joel Madden were seen in Beverly Hills the other day. 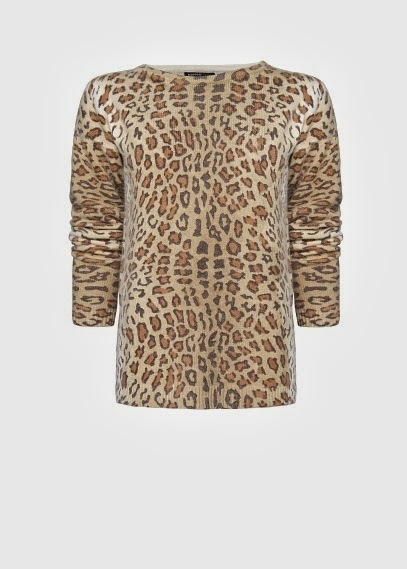 Nicole was wearing a $1,275 Dolce & Gabbana Leopard Crewneck Sweater from the Fall 2013 collection. I'm always a fan of anything leopard print! If you like this look and want a similar style sweater for less shop below.